When you hear the term “urban fantasy,” you might think of a novel that is edgy, hip and urban. When you hear the term “contemporary fantasy,” you might think, edgy, hip and – um – not urban? Not exactly. The two subgenres have certain similarities, but they are separate categories. 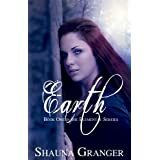 Contemporary fantasy is set in contemporary times in the real world. In other words, if you wish to publish such a novel now, i.e. 2013, it must be set on Earth in the late twentieth to early twenty-first century. Another important distinguishing feature is that the fantasy elements, the magic, must be secret from the public at large. For example, in the Harry Potter novels, ordinary people, AKA Muggles, had little or no knowledge of the wizarding world. Current issues, events and popular culture may be referenced or even affected by magic, but the world at large will never know. Popular authors that write contemporary fantasy include Charles de Lint, Holly Black and Jim Butcher. Urban fantasy is just that, a fantasy novel with an urban setting. The city itself is an important element and readers should feel as if they are walking the gritty streets while they read. An urban fantasy does not have to be set in modern times. It can be set in the past, present or future, i.e., London 2013, Rome 213 or New York 2213. Also, the fantasy element doesn’t have to be hidden. Ordinary people may or may not be aware of magic and supernatural beings. Popular authors that write urban fantasy include Charles de Lint, Holly Black and Jim Butcher. What? No, I didn’t just copy and paste. There’s lots of crossover between these genres and some books can be considered both. Some authors write in both genres. A popular series that I don’t think fits either genre is Sookie Stackhouse, the inspiration for the TV series, True Blood. The series is set in a small town rather than a large city, so it’s not urban fantasy. Ordinary humans are aware of supernatural beings, so it’s not contemporary fantasy. Well, what is it? Horror? 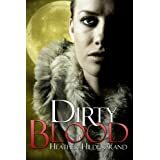 Paranormal romance? A crossover of the two genres? Maybe. It’s good to keep in mind that labels such as romance, mystery, horror, etc. are important because that’s where your book will go when it’s placed on the shelf of a bookstore or library, or which category it will listed under on Amazon or B&N. Subgenres are less rigid, giving writers breathing space to create a world and write the story they want to tell. Below are some free-for-now books that may rouse your interest in the genres. 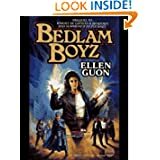 When one of her friends is gunned down, Kayla uses her latent healing powers to heal her friend—and the gang member who shot him—and soon the city’s gangs are eager to use her powers for evil. Soul Sisters is an urban fantasy novel about African-American twin sisters Ani and Dana who have a rather unique secret: one sister is human while the other is a vampire. While the sisters have lived peacefully with each other for many years one fateful night will change both their lives forever. When a drunken man tries to attack Dana (the human sister) Ani (the vampire sister) protects her sister with all of her ferocious power. However, when the vampire’s leader Donovan finds out about the public display he calls for the sisters to be assassinated for disobedience. Ani and Dana now are in for the fight of their lives to protect each other as well as the lives of their dedicated friends who have joined them on their mission for survival. Shayna and her two best friends have the abilities to manipulate and control the four elements, earth, air, water and fire. While learning to hone their growing powers, they discover a new and malicious presence in their sleepy beach town. Someone is performing blood magic and threatens to expose their small magical community. So far only small animals have been slaughtered, but then the nightmares start. Life in the big city is not for the faint of heart. Shadows lurk in sunlight; blood spills on floors; hope and dread are just two sides of a neon sign; and loneliness is a paper cut on the heart, an invisible wound that eventually kills. 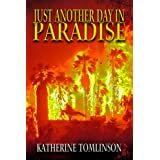 In these stories, Katherine Tomlinson explores the dark heart of urban living—the violence that seeps through walls like rancid cooking odors, the paranoia that grows in the dark, nurtured by guilt and grief; the retribution that strikes as suddenly and implacably as summer lightning. And every day brings a new challenge. Books that I have previously listed will occasionally come up free again. I add those to my current posts for people who didn’t see them the first time.